While sounding thoroughly contemporary, Arrica Rose's sound is rooted in the classic pop of the '60s with nods to even earlier eras like the harmonies heard on '40s swing recordings. 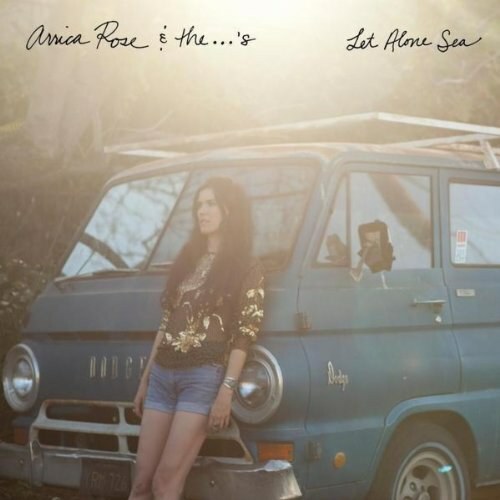 Arrica Rose & the ...'s release their third full-length, Let Alone Sea, August 22nd on pOprOck records and it's chock full of the hook-filled folk-pop which is the group's trademark. While sounding thoroughly contemporary, Arrica Rose's sound is rooted in the classic pop of the '60s with nods to even earlier eras like the harmonies heard on '40s swing recordings. Her band, the …’s (“The Dot Dot Dots”). is meant to "describe the collaborative nature of her project which evolved from a four-piece guitar-driven band into an intricate sonic landscape including keys, mandolin, toy piano, omnichord and more." Let Alone Sea contains 10 new tunes, but we have a special treat for you today... the premiere of "Lions & Tigers & Bears", which doesn't appear on the new album, but compliments the new work's style perfectly.